A forever battery would be nice, wouldn’t it? Something low cost that could be recharged in seconds, time after time, indefinitely, and be about as environmentally sensitive as Greenpeace and the Sierra Club combined – there’s the ideal battery. 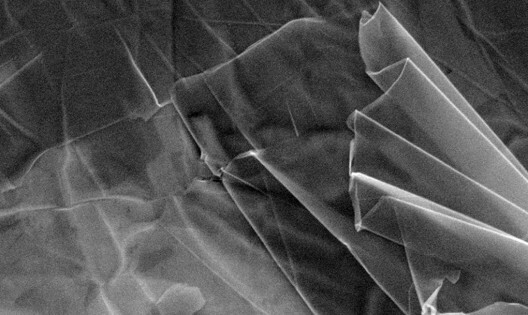 That might seem like a miracle, and it relies on that miracle material – graphene – for its many astounding properties to help make this flexible battery a reality. Dr. Han Lin of Swinburne University in New South Wales, Australia has 3D printed his prototype battery at a much lower cost than with previous production techniques. The immediate “take” on this material is that it could be used in things like watch straps, powering the attached timekeeper, or in (inter)active sports clothing. Of course, this blog looks for larger applications, such as something that could be used in electric aircraft. Graphene has the potential to be a structural material (about a hundred times stronger than steel, according to 3ders.org) and a powerhouse of electrical storage. Graphene has been “printed” before by Dr.Richard Kaner and his graduate student Maher El-Kady at the University of California at Los Angeles (UCLA). With nothing more than a standard LightScribe DVD burner, El-Kady created over 100 microscale supercapacitors in fewer than 30 minutes on a discs coated with a graphite oxide film. This took place over four years ago. 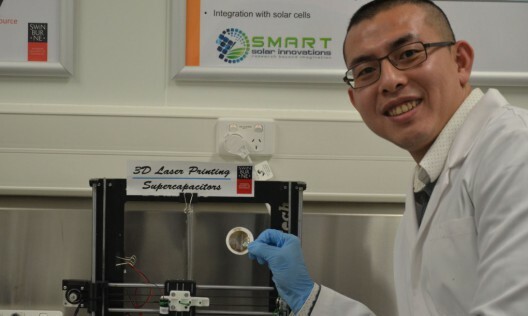 Printing flexible supercapacitors on what looks like a standard 3D printer, Dr. Lin presented these new energy storage devices at Fresh Science Victoria 2016 earlier this year. Although the only note on the supercapacitor’s performance is that they equal available lithium-ion batteries, their light weight and potentially inexpensive fabrication should encourage further development. The fact that graphene is two-dimensional carbon makes it a more easily recycled or reused material than lithium, which presents issues for disposal when batteries reach their life limit. We look forward to seeing where Han Lin and his researchers can take this low-cost technique for manufacturing, and whether there is additional performance to be pulled from this material.